Plenty of best-ever prices on normally-expensive tech, from a Dell laptop to a 4K TV to an iPhone 8. Check out these offers and more in our roundup of the top five Editors' Choice deals we found last night and this morning. The Editors' Choice prices are plentiful, with Vizio, LG, Samsung, and more in this week's budget-friendly roundup of the best TV deals. Note: Be sure to cancel Subscribe & Save after your item ships to avoid being billed for future shipments. Macy's offers the Nike Men's Club Fleece Pullover Hoodie in Blue Force for $22.50. Opt for in-store pickup to avoid the $8.95 shipping fee. That's $18 under our February mention and the best price we could find today by $7. It's available in sizes L and XL only. A cheap television is often cheap in more ways than one, since TVs that consume less power can generate smaller electric bills over time. In fact, there are a number of variables that determine how energy efficiency impacts one's bottom line. To help consumers make sense of it all, the Enervee Blog put together a 2-page chart that lists the best-selling TVs on Amazon and the calculated cost of operating one based on number of years you have it and how many hours a day it's powered on. As it turns out though, buying one of the most energy efficient TVs doesn't necessarily mean huge savings on your electricity bills. The chart raises a number of questions, though. In an age when screen size is everything, how does one begin to compare the smaller televisions of a generation ago (which used cathode ray tube technology) to today's super-huge LED screens? As it turns out, while new TVs with HDR and other flashy features may be bigger, their power consumption remains smaller, says Enervee CEO Matthias Kurwig. SEE ALSO: What Is HDR? "There is still a big opportunity to save a lot of energy by replacing older, less efficient TVs with newer models," Kurwig said. "For example, on average, a 65" LED TV today uses half the power compared to a 35" CRT TV from 10 years ago." Let's next consider the question of whether buying an HDTV because of an anticipated energy savings justifies a higher price tag. Looking at this variable alone, we came to understand that superior energy efficiency, while making the cost of operating an HDTV more attractive, isn't necessarily a force behind price points. As an example, let's look at the Samsung UN60F6300AFXZA. On the Enervee chart it has a high energy efficiency rating of 84, meaning that if you operate it five hours a day over five years, it will consume $80 worth of power. But it'll initially cost you $1,329 (with free shipping, a low by $46). By comparison, you can get a Vizio 60" 120Hz 1080p WiFi LED HDTV for $898 (with free shipping, a low by $2). Its EnergyGuide estimates a $17 operating cost per year, compared to $14 for the Samsung model. While there are differences in operating costs of HDTVs these days, that shouldn't be a prime factor when comparing prices between very cheap and high-end models. Rather, the variables that affect your purchasing decision should center around features such as the number of HDMI ports, the type of processor used, or the ability to accommodate apps or multi-channel sound. Still, you shouldn't completely ignore the energy costs or savings of a new HDTV. 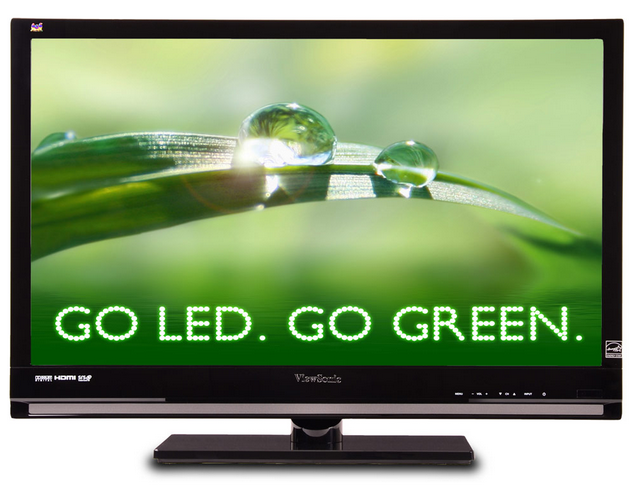 If you're replacing an old CRT TV with a newer LED model, you will definitely pocket a savings in energy costs. The analogy is akin to replacing an antiquated refrigerator with a new model, and energy efficiency has come such a long way that it has become almost fiscally irresponsible to run an old TV. "Energy savings is absolutely an important financial feature, but you must also consider the initial cost of purchasing the TV," Kurwig added, noting that Enervee displays both pricing and energy-saving costs for models, so both initial cost and cost of ownership can be considered. In other words, between TVs with similar features and sticker prices, you'll want to consider energy consumption as a potential tie-breaker. TVs that come within $100 of each other deserve special scrutiny: The Samsung UN46F6300AFXZA is a 46" TV that costs about $1100, and consumes $60 in energy over five years. Its Enervee score is a 77. Compare that to Samsung's UN50EH5000FXZA, which has a bigger screen but actually costs less to operate ($54) and has a higher Enervee score, 93, but a sticker price starting at $800. The UN50EH5000FXZA is a bigger TV that costs $300 less and costs less to run (though the savings amounts to just $1.25 a year). Of course, you'll want to check out how the models stack up in other categories as well. All in all, "the most energy-efficient televisions are [LED-backlit LCDs], which are typically at least 20% more energy-efficient than comparable LCDs or plasmas." As such, there is a wider gap in electric bills between LED HDTV and plasma owners; you'll want to pay close attention to those figures if the prices of each set are relatively close. Bottom line: A 60" TV with an Enervee score of 50 or below will cost more than double to operate compared to one that scores 76 or higher. No matter what new electronics you're in the market for, there's a price each consumer should keep in mind: the environmental impact. It used to be time consuming (and often annoying) to make smart, green decisions because the data was hard to find, especially in a side-by-side setting. But by comparing the costs and savings of Amazon's most popular HDTVs, Enervee has given the savvy consumer one more tool to help them go green while saving green. Lou Carlozo is a dealnews contributing writer. He covers personal finance for Reuters Wealth. 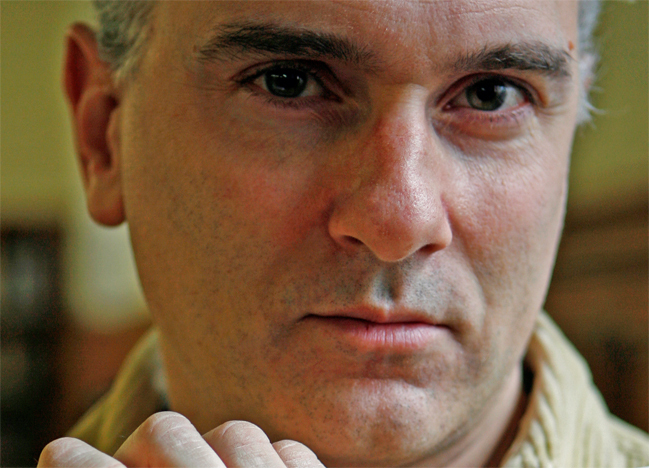 Prior to that he was the managing editor of WalletPop.com, and a veteran columnist at the Chicago Tribune. Follow @dealnews on Twitter for the latest roundups, price trend info, and stories. You can also sign up for an email alert for all dealnews features. The near life-size, high-def on-screen wood-burning fireplace complete with popping embers more than compensates for the loss in generated heat. In postmodernity, it's all about how I feel about a situation--slay reality. If my extremities are grey-cold but gazing at a visual representation of stone age heating technology makes me me feel warm...well dang it, I must be warm. The near life-size, high-def on-screen wood-burning fireplace complete with popping embers more than compensates for the loss in generated heat. In postmodernity, it's all about how I feel about a situation--slay reality. If my extremities are grey-cold but gazing at a visual reproduction of stone age heating technology makes me me feel warm, well dang it, I must be warm. "...energy efficiency has come such a long way that it has become almost fiscally irresponsible to run an old TV." But the very next sentence is, "'Energy savings is absolutely an important financial feature, but you must also consider the initial cost of purchasing the TV,' Kurwig added..."
So I'll stick with my old CRT TV. I don't watch much TV, anyway. This article is not completely correct. For the large number of homes with electric heat, more efficient TV’s of any type will not save any electricity in the winter months. Any lower electric use by a TV or any other appliance or light bulb will be completely offset by increased electric use by the electric heating system. Even with heat pumps or gas heat, there will be an increase in consumption and cost, but not as much as the reduction in electricity. In summer, there will be savings with more efficient TV’s both for electricity and for cooling. My new Samsung plasma was only $3 a year more over a led set of the same size(64 inch). A no brainer for having a lot more features and better picture.